I don't know about you guys but this one is EPIC!! And here's another one I love! And after seeing this next photo, all I could say was : "Damn! What A Hottie!" No, it's not that one although it's the same kind of pic. 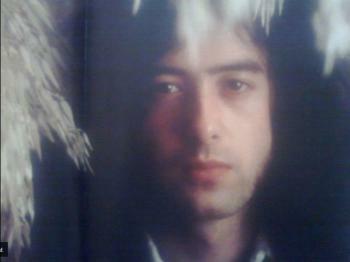 I think it was around 69-70 time, Jimmy had still long hair (if I'm not wrong) and a quite serious expression. I meant it was a long wait as it was long over the schudle as Jimmy was adding stuff and they handed sew the book together. This must be it. It is 1970, the black and white one is too, but after he cut his hair. You are very welcome, Mark. I love it. I love he included it too. I think he included a lot of ones that meant a lot to him. 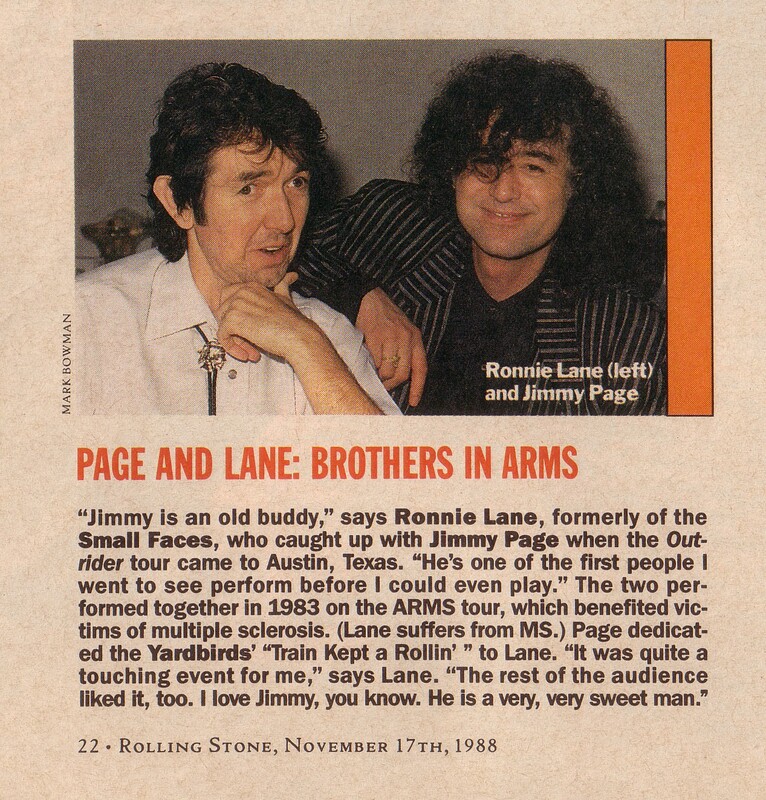 I hadn't realized that he and Ronnie Lane were friends. That may explain why he did the ARMS concerts even though he was in pretty bad shape at the time from what I've read. I have heard that Jimmy always called him on his birthday and paid for at least some of Ronnie's medical stuff. Jimmy definitely placed a birthday greetings call to Ronnie on Apr 1, 1985 and as I understand thus began a tradition he continued for many years (if not until Ronnie's death in 1997). Ronnie had moved to Houston, TX so Jimmy wasn't able to see him nearly as often as they would have liked. It made me very happy that Jimmy made a special effort to see him during the Outrider tour ....and adding the picture to his book. Deep respect and abiding friendship, to be sure.....!! I don't remember a lot of live ones tht we haven't seen in other places. Here are a few a couple '77 live ones that I don't remember anywhere else. But this is my favorite from '77 when he went to Cairo during in the break in the tour. He never let this picture out before his book. Thank you everyone who shared pictures from Jimmy"s book!! They are great!! I thought I'd never see the contents of this book, now I have, thanks! Yes...THANK YOU for posting all of these amazing pics!! !